Thank you, Jonathan. Before the break, we met our contestants, Tenaja and Maura. Soon they'll play a game about unconventional forms of communication. You know, communication is, of course, the most important part of any relationship. And my favorite is when my partner leaves me little love notes like in the subject line of his Venmo transaction. You know, just - sorry about your window. I love you. Let's check in with our contestants. So, Tenaja, you are a talented and experimental cook. EISENBERG: Experimental? OK. So what is your specialty that is maybe a little more out there? JORDAN: I make really off-the-wall macaroni and cheeses. EISENBERG: All right. Let's talk about this. JORDAN: And so one of my favorite - I make a Philly cheesesteak baked macaroni and cheese which includes like a red pepper, green pepper, Steak-umms and then three different cheeses like provolone, some gouda for the melt, and then like another white cheese, ideally a Swiss. And then like this one - I'm beta testing a new mac and cheese right now. It's parmesan cheese with peas, bacon bits and shrimp. And I'm just trying to like throw that together. MAURA FOLEY: It's like a carbonara. JORDAN: Yeah. It's like a carbonara baked mac and cheese, exactly. JORDAN: Thank you. Thank you. EISENBERG: Maura, you are a talented baker. EISENBERG: OK. So - and you are baking some artisanal breads. EISENBERG: Let's go to your next game. Tenaja, what is the weirdest way you've ever sent a message to someone? JORDAN: I've texted someone 15 seconds of audio of me explaining a text message that I had previously sent. JORDAN: Just in case you weren't sure from what I said to you that I wrote to you, I figured I would explain it in my own natural voice so that you can hear the inflections and see that I wasn't really angry, just slightly annoyed. JORDAN: I wanted that to transfer. EISENBERG: And how did that go over? JORDAN: They responded with texts like OK.
EISENBERG: Right. Maura, what's the weirdest way you've ever sent a message? FOLEY: I'm like that Midwestern lady in the office that's like, we're being too rough on the coffee maker. So I like to write notes from the perspective of the coffee maker. FOLEY: I worked in a lab in college, and people would leave the door to the ice machine open. And so I would like have to put a note there that's like, close my mouth. I stay cold. FOLEY: And - 'cause it's like, how can you be passive aggressive but like cute at the same time? EISENBERG: It's all context. It's all context. This is a music parody game my mom wrote called Why Haven't You Called? EISENBERG: Tenaja, stay in the lead and you are in the final round. Maura, you need more points or you have to answer that phone call that you keep getting from that number that has the same first six numbers as your number. And you're like, it's got to be spam, but what if it isn't? 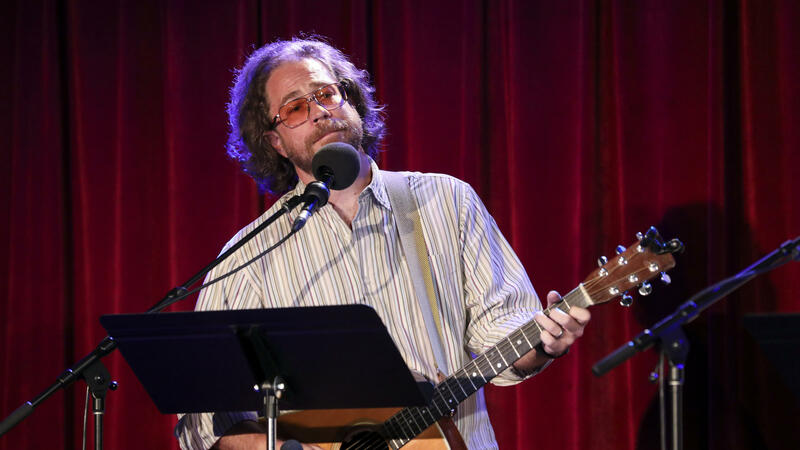 COULTON: We changed the lyrics of songs about the telephone to make them about other forms of communication. Some of these communication methods are unusual and some of them are even fictional. Ring in to tell me the communication method I'm singing about, and if you get that right, you can earn a bonus point by identifying the original song title or artist who made it famous. You ready? OK.
COULTON: I need verbal confirmation. Here we go. (Singing) A system made of dots and dashes. Use it when you're in distress. Three dots and three dashes. Three more dots, that's S-O-S.
JORDAN: "Hotline Bling" - morse code is the method. JORDAN: And "Hotline Bling" is the song. COULTON: That's right. You get the bonus point. Well done. COULTON: Here we go. (Singing) Throw some grass on the fire. Keep on piling it higher. I'm not building a pyre, I just have things to say. They used this at the Great Wall to send a message to all. With these puffs I make a call to you I'm OK.
COULTON: Smoke signals is correct. Can you name the song or the artist? FOLEY: But I got to like sing the - beg, borrow and steal, first sign and it's real. COULTON: Get to the chorus, though. FOLEY: Oh, it's Carly Rae Jepsen. COULTON: Yes, it is - "Call Me Maybe." That's right. FOLEY: If I hadn't gotten that, they like never would have let me back in another gay bar. COULTON: Here's your next one. (Singing) I'm thinking real hard trying to hear you through the raw power of my mind. Some say it's nonsense. I call it the sixth sense. Now all our thoughts are intertwined. FOLEY: You know what? I'm sorry (laughter). COULTON: I just don't want somebody to write us a letter. COULTON: I have to - if that - you know? FOLEY: And then I'm from - that's Maroon 5. COULTON: It's called "Payphone." That's right. COULTON: (Singing) This pic won't stay. It goes away, so there will be no record of the things I say. A flower crown, a sad-faced frown - I can't decide which filter I should overlay. COULTON: I need a specific, decisive answer from you. JORDAN: I'm just going to go with, like, a photo - photography, maybe. COULTON: We're looking for something more specific. Maura, do you know what it is? FOLEY: I would like to thank every 22-year-old I work with. Snapchat. JORDAN: Well, hopefully you won't get the bonus point. COULTON: I was talking about the picture disappearing. COULTON: That's why I was specific, yeah. For a bonus point, Maura, can you name the song or artist? FOLEY: I definitely, like, know that tune. And it sounds familiar. JORDAN: It was Stevie Wonder. FOLEY: Oh, right. I'm sorry. EISENBERG: The other Billy Joel. COULTON: That's called "I Just Called To Say I Love You." OK, we're almost there, everybody. COULTON: (Singing) They're ghosts, you see. And I'm wondering if with this thing, they'll finally talk to me. Let our fingers guide the way. They say spirits move the planchette, but I just think that's [expletive]. FOLEY: It's a Ouija board. COULTON: It is a Ouija board. You're correct. COULTON: What its name was. EISENBERG: ...What it would like to be called. COULTON: Doesn't make any sense. EISENBERG: Yeah. That's what the spirits wanted. Amazing game - well done, ladies. EISENBERG: And after two games, Maura, you came up. And you got more points, so Maura is moving to the final round.